Can someone please point me in the right direction on how to fix this glow issue ? Looked for glow.dll, glow.bmd and i have none in my client. 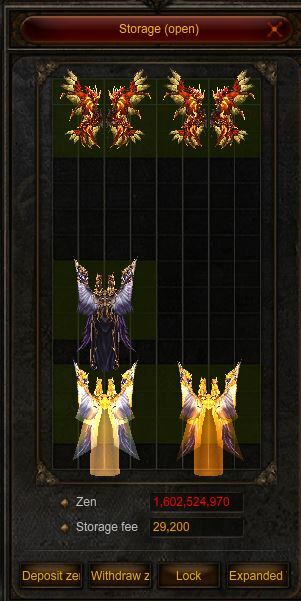 Everything glows perfectly when upgraded to +7 or more, except this wigs. I'm not sure exactly what client files are these, something IGCN. there should be file named glow.bmd inside your client's Data/Local folder you can edit that using MuToolkit Silver you to inpute in the fields item category and index and for color choose black it should disable the glow effect. Thank you both for answering this thread. However, there is no glow.bmd or glow.dll in the client files. Guess that may have been renamed or embedded in some other dll. What season are you using? If it's season 9 i found the Glow.bmd exactly where i said it was.